175862 I. BULL. CH. STO. R.N. on Trio. Isaac was born in Rimpton, Dorset in 1872 and enlisted in the Navy in September 1893 his occupation at that time was given as a Coal Miner which probably accounts for him becoming a Stocker. 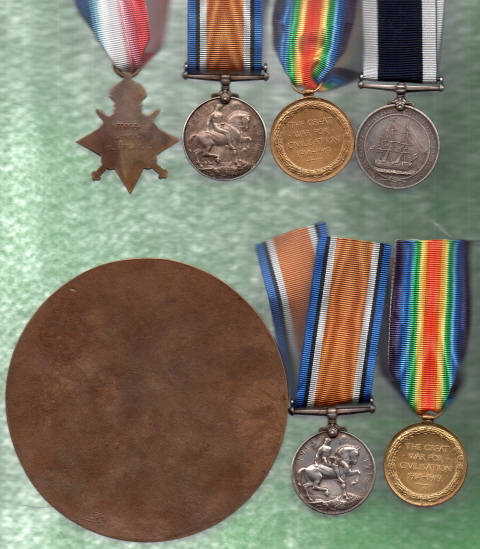 Isaac served on many various ships and was awarded his Long Service Medal in 1909. Isaac Married Elizabeth and they had a Son, Albert Stanley who sadly Died aged just 19 in A Military Hospital 11th May 1919 and he is buried in Hampshire Milton Cemetery having served overseas with the 1st 5th Prince of Wales Battalion of the Devonshire Regiment. His parents were residing at 38 Velder Avenue, Milton, Portsmouth at this time. 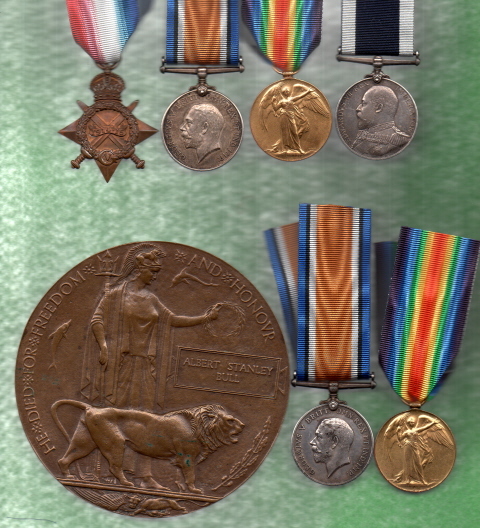 Albert was not entitled to other medals. Payment accepted, £ Sterling or Euros cash, Sterling Cheque, Bank Transfer.